Did you guys know there were different types of cinnamon out there?! Call me naive, but I honestly never knew! I probably just caused MANY of you to lose major trust in me! I mean, I thought that depending on where you purchased your spice, your quality would improve or be less yummy. But as for like full blown varieties with changes in taste and smell? No clue! Then came along Flavor of the Earth and their Ceylon Cinnamon. CEYLON cinnamon? I seriously giggled a tad and thought they were being clever with a cute Firefly/Battlestar Galactica name. Nope! Turns out, it's a valid form of cinnamon! Even Penzey's carries the stuff! Call me "Amazed" and "Mind Blown". Upon doing research, there are actually many forms of cinnamon out there, all depending on the country it was harvested. Ceylon cinnamon comes from a small tree native to Sri Lanka. Whereas the cassia cinnamon, or the kind we're all used to and usually get at our local grocery store, typically comes from Indonesia. This kind is what we all remember and know well. Then there's also China Cinnamon (or Tung Hing) which is described as being extra sweet, extra spicy, and extra strong. Lastly, there is Vietnamese cinnamon which has been described as the strongest, richest and sweetest cinnamon around. It is so strong, that when used in most recipes it should be cut back by a third! Huh! As for this ceylon kind- holy cow guys. It's amazing. It's complex and fragrant as can be! The color is much much lighter than my store brand kind- which was the first thing I noticed a difference in. Then upon opening the jar, I was hit with the most incredible smell. It has an almost citrusy, brighter, and sweeter scent to it. Reminded me of some sort of childhood, Christmas decorated, Mom and Pop store I used to walk into. It was homey and welcoming. I couldn't get enough of that smell. I must have made 5+ people sniff it. Then the taste. Craziness. It lacks any of the cinnamon "bite" or bitterness my normal store bought cinnamon had. 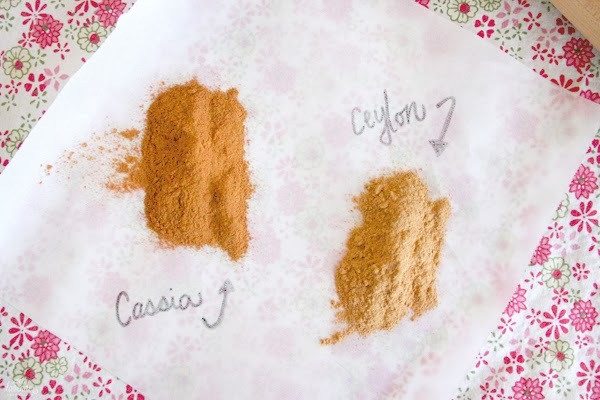 I did a little spice taste test right then and there and my husband and I both thought the regular cinnamon was more earthy and muted- deeper in flavor. Whereas this ceylon cinnamon was smoother, mellower, cleaner, more fresh and a tad sweeter! I mean...this ceylon stuff is amazing. And then there's the health benefits! "Ceylon cinnamon is a super healing antioxidant powerhouse packed with calcium, iron, zinc, immune boosting Vitamin C, fiber and manganese, along with anti-bacterial, anti-fungal, anti-parasidic and anti-inflammatory properties" says the LaJolla Light Newspaper. "This amazing spice has been found to regulate blood sugar levels, boost lean muscle mass, jack up energy and vitality, and increase circulation. Cinnamon also puts the skids on digestive complaints, such as flatulence, bloating, nausea and indigestion, and wards off colds and the flu, urinary tract and yeast infections, along with the hiccups. Just a whiff seems to boost visual-motor skills, the ability to focus and memory." Flavor of the Earth also freshly grinds their ceylon cinnamon in very small batches. By doing it this way, they are able to bring their customers the very best intense and fresh cinnamon possible! The guys over at Flavor of the Earth recommend adding about 1/2 to 3/4 of a teaspoon into fresh grounds of coffee before it is brewed. Once brewed, prepare coffee the way you normally would and taste the flavor of the cinnamon. If you like hot tea, they recommend adding some ceylon cinnamon to that as well. Of course it's amazing in oatmeal, smoothies, with yogurt, granola, or however else you would normally use the spice. I decided to bake with it. Because....why not? 1. Preheat oven to 350°F and move racks so that they are in the middle of oven. 2. Roll out pie dough on a lightly floured surface so that it is about 12" in diameter by 1/4" thick. To make a neater edge, trim so that pie dough is a perfect circle. 3. 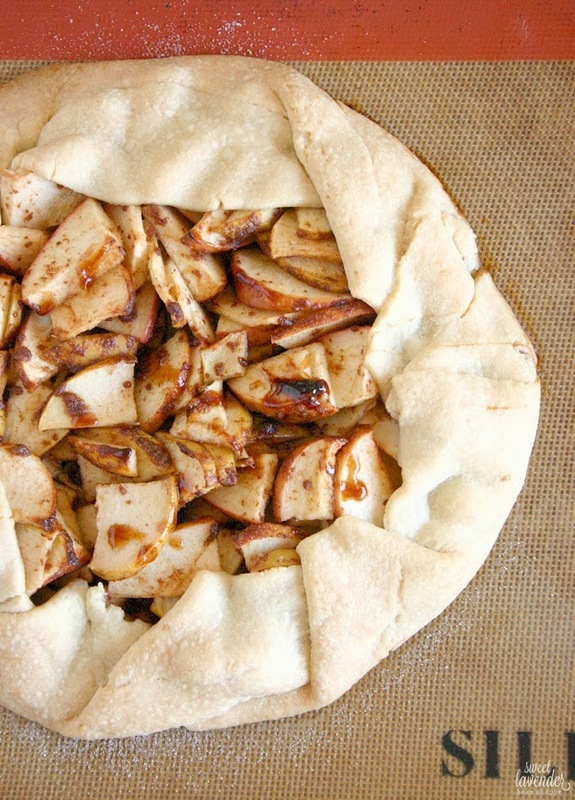 Line a sheet pan with parchment or silpats and gently place your pie dough onto it. Set aside. 4. Thinly slice your apples, making sure not to get any of the core. I left my skins on but feel free to peel if you're opposed to skin. Place apple slices into a bowl and toss with the remaining ingredients. To see how to brown butter, click here. Just LOOK at the difference in color there! Crazy right? On the left is my regular 'ol store bought cinnamon whereas on the right is my new ceylon kind. So bright and yummy! 5. 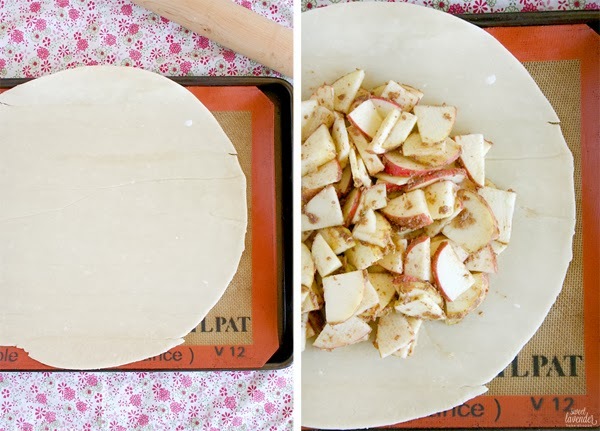 Carefully place all of your apple filling into the center of your pie dough. 6. 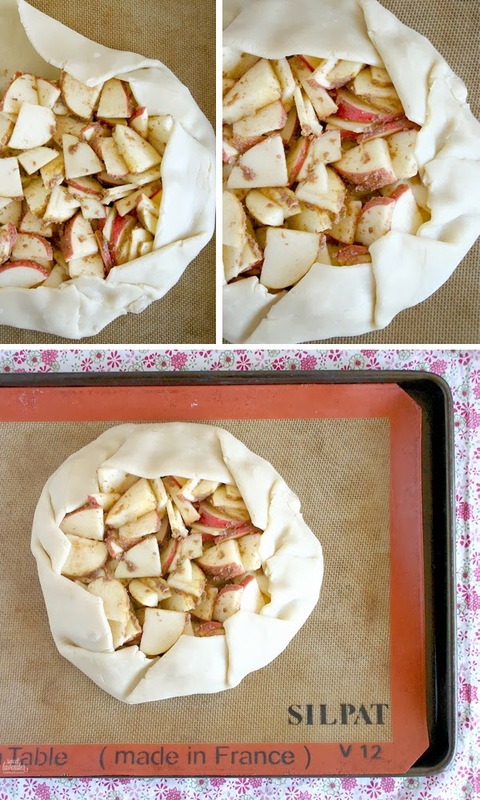 Next, carefully fold up the sides of the dough (up and over the apples), gently pressing where the dough touches itself. Be cautious not to let the apples poke through. If this does happen, simply press the dough hole closed with your fingers. You can definitely make a quick egg wash by combining a whole egg with water, and brush over the tops of the galette crust. Or you can lightly brush the top with heavy cream to get the same effect. I opted not to do that. 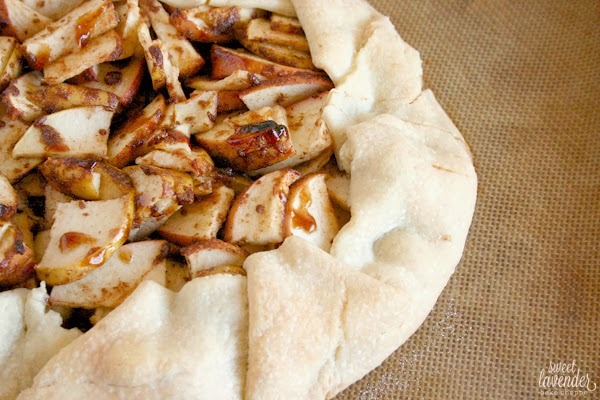 Keep in mind that if you do, your galette will brown faster than without, so keep an eye on it. Also optional, you can sprinkle the top of your dough with about 1/2 teaspoon more of vanilla sugar. If your dough is completely thawed out, your sugar should stick right to it, without the help of anything. I chose that route. 7. Bake at 350°F for about 45 minutes, turning pan half way through. 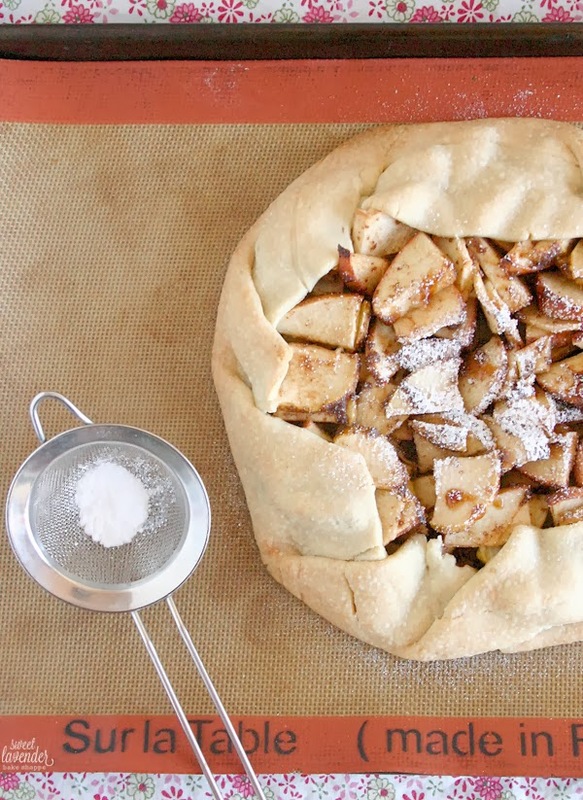 You're looking for tender apples and a golden brown crust. Again, if you egg/cream washed your crust beforehand, keep an eye out! Once cooked, allow to rest on pan for 10-15 minutes before removing and placing on a platter or plate. Serve slightly warm or at room temperature with powdered sugar on top, whipped cream, or vanilla bean ice cream! By using only a few ingredients in this dessert, the cinnamon was allowed to really shine through. And shine it did! So bright, tart and sweet! Loved it! Plus this dessert was like, ridiculously easy to make. Something you could whip up in no time at all. Score! Guess what guys??? Flavor of the Earth has graciously decided to offer one SLBS follower a 1 POUND BAG of their amazing ceylon cinnamon! 1 freaking pound! Do you know how much a pound is?! Imagine all the yummy recipes you could make with all that cinnamon?? And now for the "small" print: CONTEST OPEN TO US RESIDENTS ONLY. Contest will run for 7 days and will end on February 25th. Winner will be shown on this blog post upon being chosen AND will be contacted by Sweet Lavender Bake Shoppe via email. Winner has 24 hours to email back and claim prize before a new winner will be chosen. Prize is graciously donated and shipped to winner by Flavor of the Earth. That looks so, so delicious! I go to Penzy's all the time and never noticed ceylon cinnamon, though I'm usually over in the savory area. It's amazing! Next time you're there, take a whiff! I use cinnamon in both savory and sweet cooking. This would work well in both. Whoa...that's a lot of cinnamon! I love making monkey bread which uses a lot of cinnamon! But we're cinnamon junkies here, it's in everything from coffee to dessert! I need to make some cinnamon rolls with this! I've never heard of other types of cinnamon before--that's so cool! 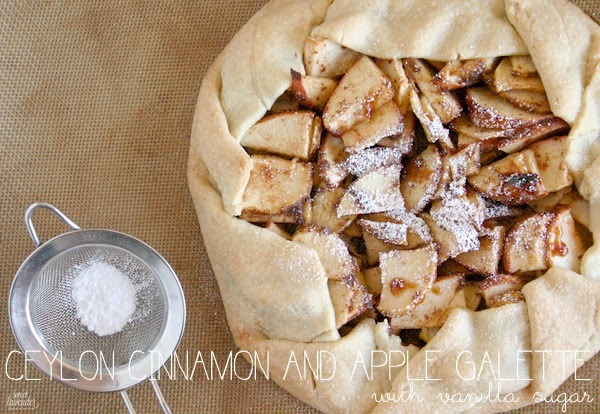 I loved reading your thoughts on each kind because I personally adore cinnamon and would love to try the Ceylon variety, especially in a yummy apple galette like yours! I can't wait to make this this weekend!! I'd make tons of cinnamon toast and cinnamon rolls!